Lina Lina, aka the ukulele mermaid, is a singer-songwriter who plays the ukulele, and who loves grapes. She took her first piano lesson at age four and an ukulele she found at home launched her career as a musician. After spending some time in New York and Los Angeles, she released her debut album ”getta” in 2002, followed by “LinaLina”, “Enjoy!” and “Ukulele Lesson LeLeLe”. 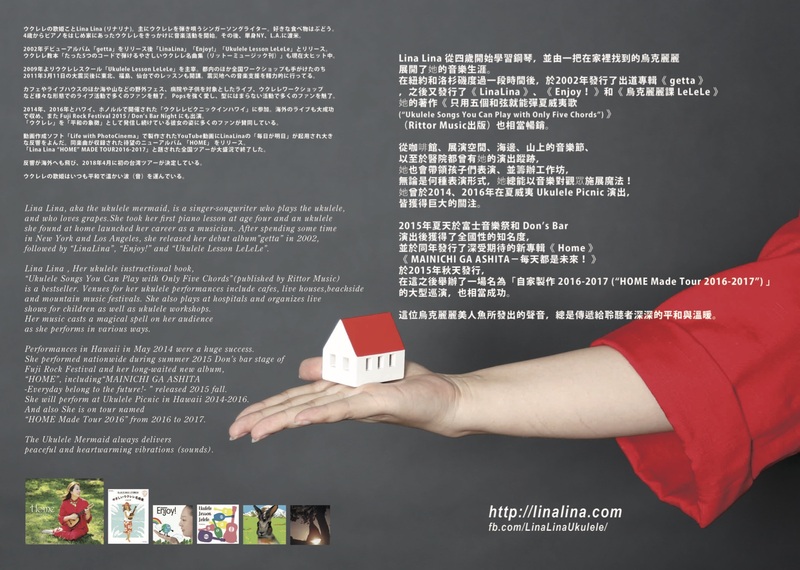 Lina Lina , Her ukulele instructional book, “Ukulele Songs You Can Play with Only Five Chords” (published by Rittor Music) is a bestseller. 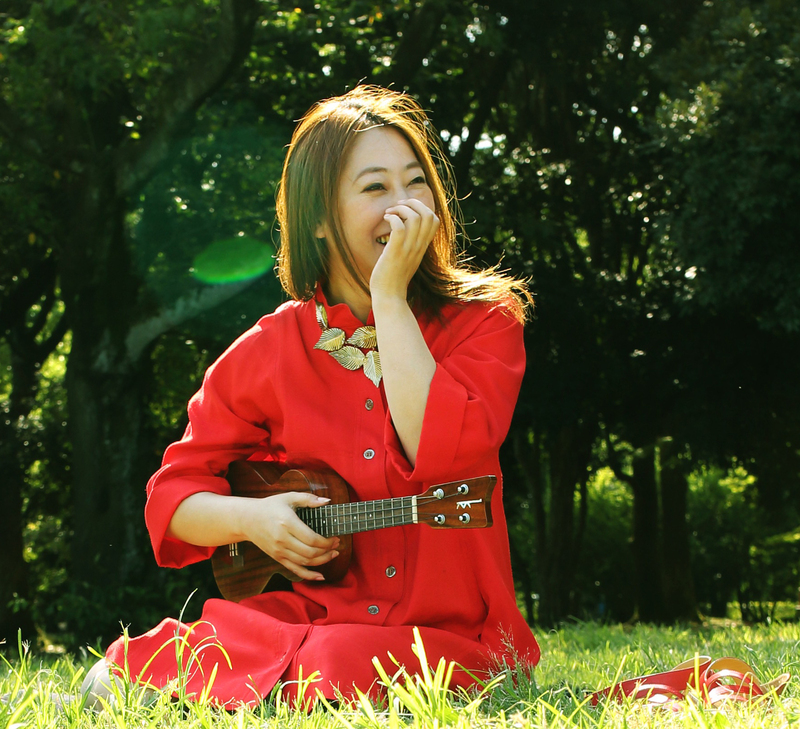 Venues for her ukulele performances include cafes, live houses,beachside and mountain music festivals. She also plays at hospitals and organizes live shows for children as well as ukulele workshops. Her music casts a magical spell on her audience as she performs in various ways. Performances in Ukulele Picnic in Hawaii in May 2014 were a huge success. 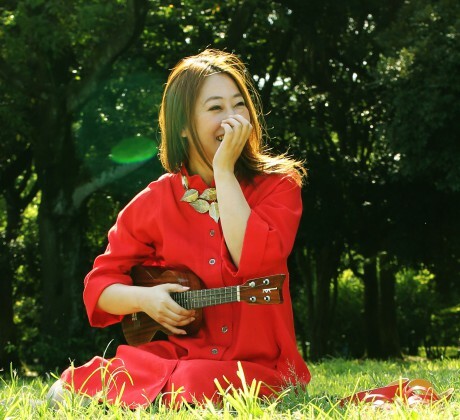 She performed nationwide during summer 2015 Don’s bar stage of Fuji Rock Festival and her long-waited new album, “HOME”, including“MAINICHI GA ASHITA -Everyday belong to the future!- ” released 2015 fall. And also She had a great live tour named “HOME Made Tour 2016-17”. 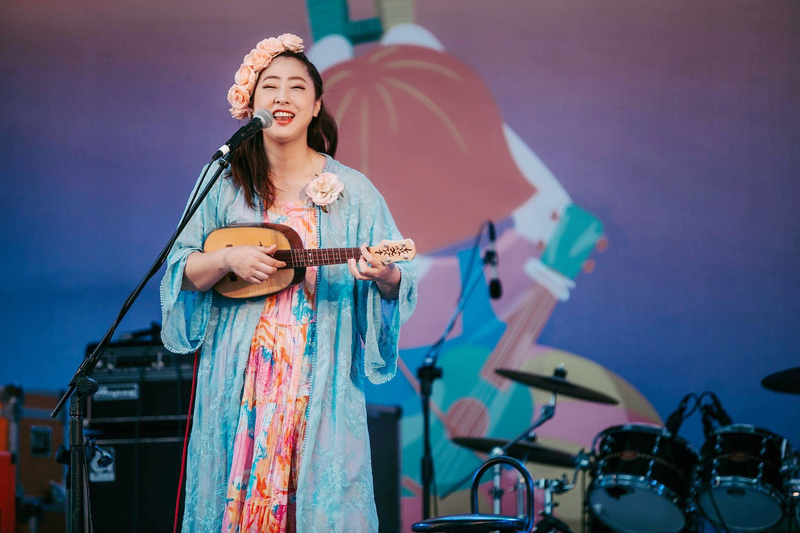 As a International Artist, She performed at Ukulele Picnic in Hawaii 2014, 2016. and Taiwan Tour 2018. Hong-Kong International Ukulele Festival 2018. 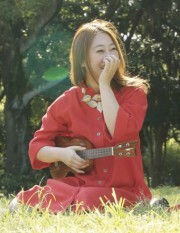 In This Year 2019, She will perform at Ukulele Picnic in Hawaii 2019. Shanghai Live Tour and Thailand Ukulele Festiaval 2019. She will take a recording for her NEW ALBUM. The ukulele mermaid always delivers peaceful and heartwarming vibrations (sounds).